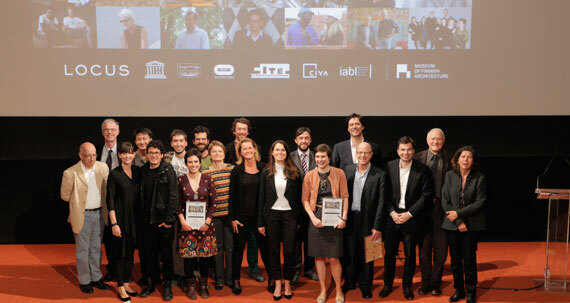 In September 2013 a call for projects in public interest design was made, projects were submitted and the winners were announced in December. 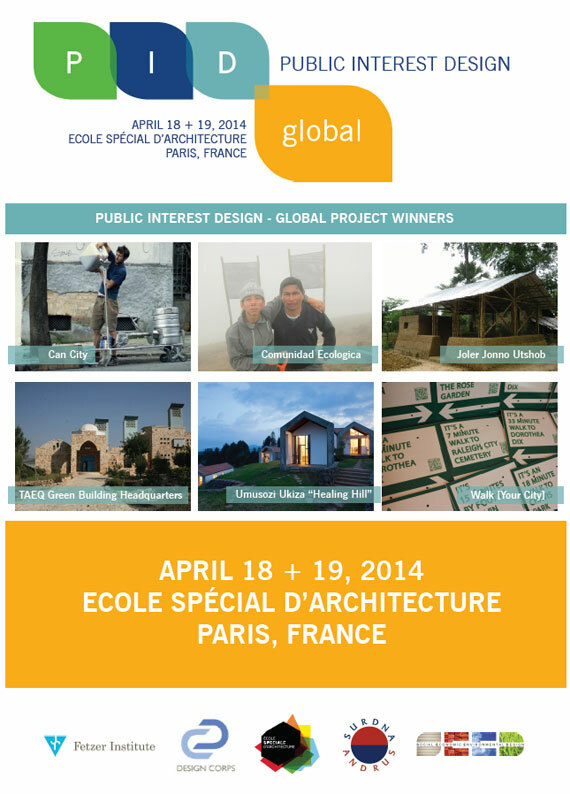 The winners will be present at a public convening on April 18 + 19, 2014 in Paris, France at Ecole Spécial d’Architecture. The international gathering will provide participants from a wide range of international expertise – architects, agronomists, conservation ecologists, business, economists, public health officials, members of government – with a chance to study how design can add value and momentum as communities tackle myriad problems. See winners and update. École de Chaillot (see attached brochure) has different training for architects both from public and private sectors to specialize in conservation and the development of architectural, urban and landscape heritage. Students become Architectes du patrimoine, Architectes des batiments de France or Architectes en chef des monuments historiques. It is a tradition to invite each year an architect to give an "inaugural lesson" to explain how he (she) considers history and heritage in his (her) work. This event, which takes place in the auditorium of the Cité, is open also to a wider public (about 250 persons), architects, urban planners, civil servants, clients, students, etc. The 1h30min lecture is followed by an exchange with the audience. Architects who gave this lecture in the last years, include Wang Shu, Bernard Desmoulin, Alexandre Chemetoff, Jean-Marie Duthilleul, Jean Nouvel, Pierre-Louis Faloci, Patrick Berger, Henri Gaudin and Yves Dauge. The ‘lesson’ is published with a video on the website, as in previous years. Mireille Grubert, Directrice September 2013. Exhibition architect: Luise Hooge Lorenc. 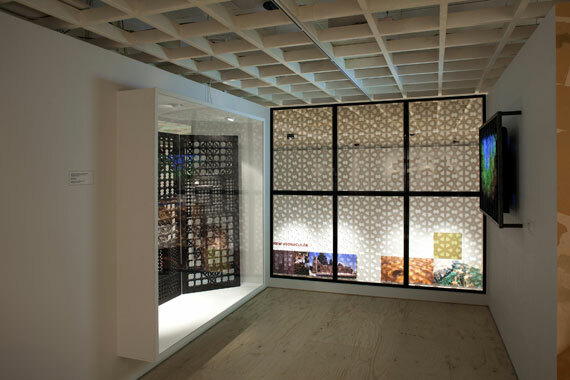 On Thursday 30 January 2014 Louisiana Museum of Modern Art will hold the private and press opening of Arab Contemporary – Architecture, culture and identity. Louisiana’s Director, Poul Erik Tøjner, will welcome the press, and curator Kjeld Kjeldsen will introduce the exhibition. 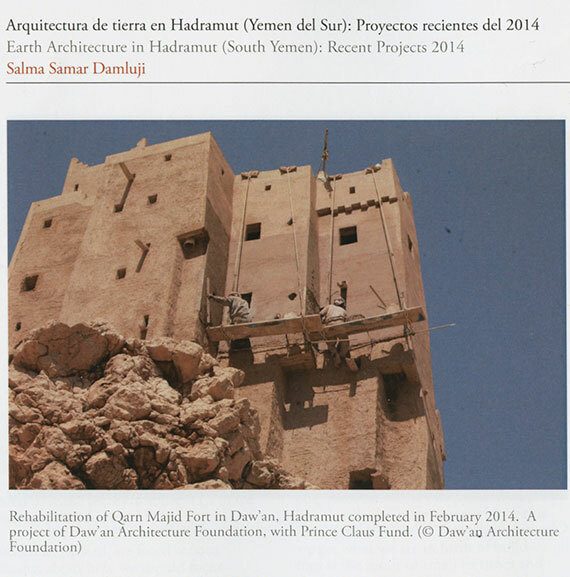 Daw‘an Architecture Foundation contributed in the development stages of the exhibition, with SS Damluji as consultant, photographer Roger Moukarzel with photos of Shibam and GOPHCY with surveys and documentation of Shibam houses. for Culture and Development (September 2013). 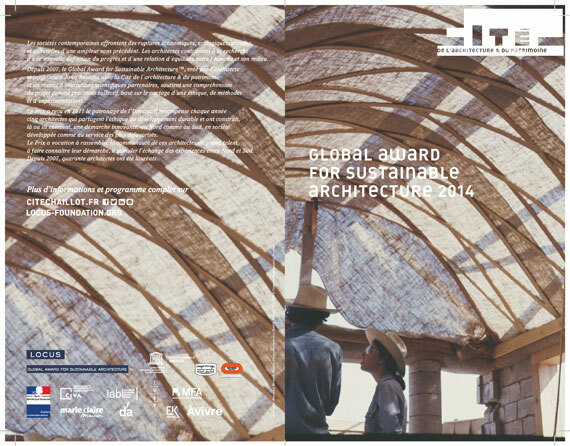 Daw‘an Mud Brick Architecture Foundation has been invited to renew its membership and attend the CGI Annual Meeting in 2014. Daw‘an Mud Brick Architecture Foundation was invited to join the CGI as a member and attend the Annual Meeting in 2012. Chairman Abdullah Bugshan will represent the Daw‘an Architecture Foundation at the Annual Meeting. Salma Samar Damluji is invited to participate and speak on the CGI PLENARY SESSION: Designing Inclusive Built Environments, on Monday 24 September. Can architecture and design help improve women’s rights? A Film: 'Sundust' made from images shot in Shibam reflecting a sense of the living landscape; The Wall reconstructed to mirror the exterior and interior of the architecture, building and urban culture; The Story: 'A Celebration of Al Bilad' depicted in a wall of words annotated by drawings of the Sa'id Ba Surrah house. Architecture is not only about buildings. Talk Show Who needs beauty? This event preceded the 15th annual presentation of the Prince Claus Awards. Leading international artists and thinkers explore the meaning of art, culture and beauty and its impact on the lives of people. Host Ghida Fakhry, presenter for Al Jazeera English, ensures vivid debate between inspiring guests who share stories and experiences of courage and the creation of beauty as a key impetus for development. The conference was to provide a platform for discussion of the condition of historic and future cities, showcasing innovative and creative projects in construction and design drawn from Chile to India. It was intended to create an important exchange between North and South, East and West, promoting a more serious understanding of the technology, design language and environmental characteristics of earth architecture, and its effective implementation. The fact that the conference was to take place in the heart of the kingdom of mud brick architecture, the valley of Hadramut, was of considerable significance in terms of highlighting this agenda. This exhibition is the product of Salma Samar Damluji’s long-lasting infatuation with the cities, landscape and architecture of Yemen. It reconstructs and studies the original designs and plans of the country’s magnificent buildings, painting a sensitive and perceptive picture of the cities and urban cultures established by generations of patrons and master builders. It is a work that also acknowledges the ecological impact of architecture, as well as offering a celebration of the artistic skills involved in the creation of these buildings, which use materials drawn from the very earth and rock on which they are constructed: mud, qirf, stone, local plants and trees.